Before Greece and Portugal, it was Iceland that chilled investors. Now the country’s finances are recovering and its bonds are turning into a lucrative investment. In 2008 Iceland faced the worst financial crisis in its history as three leading banks defaulted under the weight of huge foreign debt. As it became clear the default were inevitable Iceland’s government nationalized the banks, while foreign creditors were left holding the bag. “A Major part of Iceland’s debt has been written off. That means the country has more chances to pay its debts. So Iceland’s bonds are more attractive to investors than those of Greece or Portugal”, commented Tamerlan Khassimikov, the head of BST Capital Management. The country also received a $2.2 billion bailout from the IMF and carried out structural reforms which enabled Iceland to reduce its fiscal deficit. The devaluation of the Icelandic krona contributed to the country’s exports. “The Icelandic krona unlike the euro is supported by the country’s production. Now the fishing industry creates 46% of Iceland’s GDP and exports are growing”, said Mr. Khassimikov. But it wasn’t only effective crisis management that helped Iceland stay afloat, according to the expert. “Iceland is a disciplined country, it used not to spend much more than it has”, Mr Khassimikov said. “The fiscal deficit was formed during the crisis, because Iceland’s banks are a part of global banking. As for Greece, it became a victim of its own careless approach to finance”. Analysts agree Iceland’s crisis approach is hardly applicable to the euro-zone countries as they can’t devalue the currency by themselves. But Iceland definitely shows a textbook example of a thrifty financial policy. © Autonomous Nonprofit Organization “TV-Novosti”, 2005–2012. All rights reserved. This file is in the public domain because it was created by NASA. NASA copyright policy states that “NASA material is not protected by copyright unless noted“. *** More articles and videos from CanadaNewsLibre HERE ! Disclaimer: The views expressed in this article are the sole responsibility of the author and do not necessarily reflect those of CanadaNewsLibre. The contents of this article are of sole responsibility of the author(s). CanadaNewsLibre will not be responsible or liable for any inaccurate or incorrect statements. The CNL grants permission to cross-post original CanadaNewsLibre articles and videos on community internet sites as long as the text & title are not modified. The source and the author’s copyright must be displayed. http://canadanewslibre contains copyrighted material the use of which has not always been specifically authorized by the copyright owner. We are making such material available to our readers under the provisions of “fair use” in an effort to advance a better understanding of political, economic and social issues. The material on this site is distributed without profit to those who have expressed a prior interest in receiving it for research and educational purposes. If you wish to use copyrighted material for purposes other than “fair use” you must request permission from the copyright owner. 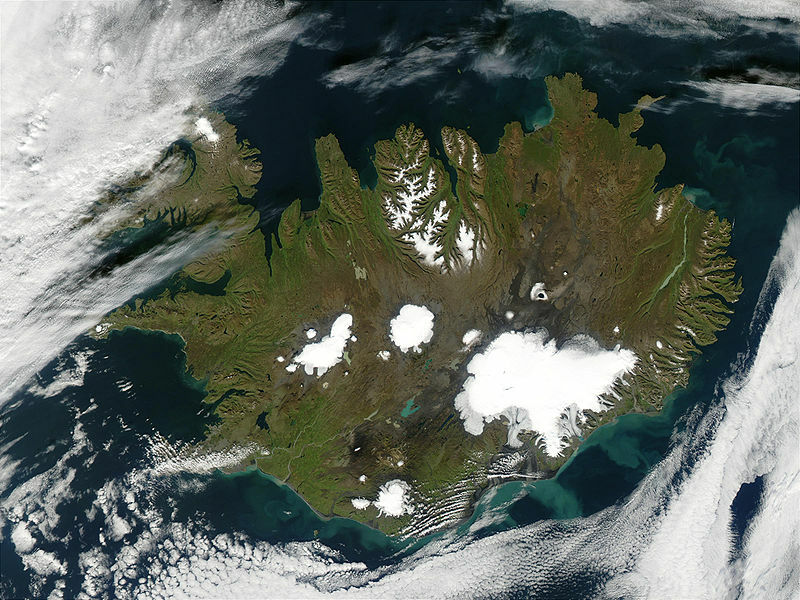 This entry was posted in Finance and Economics, Geopolitics, World News and tagged banks, crisis, debt, executives, Iceland, prosecution, satellite image by cnlib. Bookmark the permalink. To understand the 2008 basis of this world financial chaos, I invite you to take a good look at the movie: Inside Job – The Shocking Truth Behind The Economic Crisis of 2008 ICELAND Crisis. Here is the trailer of this movie, it is a real eye opener. Without the Iceland economic remedies, Greece and other European countries will never see the end of economic slavery! The legal system has to put in jail the authors of this financial mess. Iceland did it, but we haven’t seen nothing yet in Europe and USA.